U.S. National Park Service - FTS Inc.
U.S. federal agency that manages 58 national parks, many national monuments, and other conservation and historical properties. 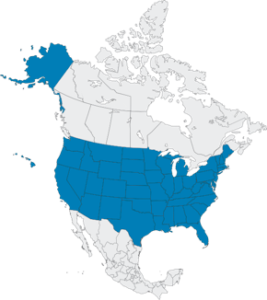 Most of the territory covered by the National Park Service is located in the western and eastern states, as well as in Alaska. On the Atlantic coast, parks areas are mainly in coastal plains with deciduous and broad-leaf forests. Tropical and mixed forest cover are characteristic of the southern states. 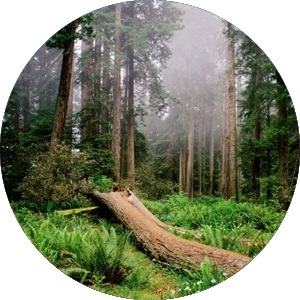 Parks in the western states are largely in the Rocky and Coastal mountain ranges, some with heavy forest cover. In the Great Basin, parks primarily have rocky terrain with coniferous forests, and in Alaska, the terrain is both mountainous and taiga with boreal forest cover. The U.S. National Park Service has been an FTS customer since 1990. The National Park Service employs fire RAWS for fire danger and fire weather monitoring as part of protecting and maintaining national parks and other conservational and historical areas. This is also extremely important due to the volume of recreational visitors in these areas at any given time.